This album is a complete joy. From the delightful laid-back groove of the Hans Theessink’s guitar picking on the opening song, Demons, to the cheery Glory of Love to the oh-so-cool slow blues of Vicksburg is My Home, to the toe-tapping Cross Road Blues to the rollicking final number, Tears Are Rolling, I had a huge smile on my face. 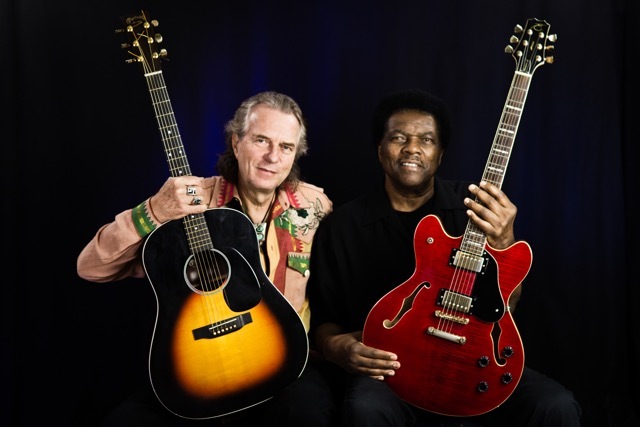 Recorded live in Vienna, this album captures two of the world’s finest acoustic bluesmen at the top of their game – Hans Theessink, Dutch blues master and Terry Evans, soulful blues exponent from Vicksburg, Mississippi. 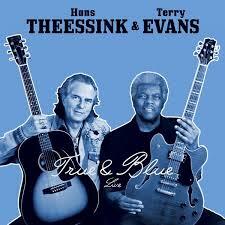 Theessink’s guitar work is rhythmic and masterful throughout, and the contrasting timbres and styles of both men’s voices – Evans’ soulful, tenor, with judiciously injected falsetto, and Theesink’s rich, lazy baritone – combine to enrich and enliven the songs. Both artists appear to be enjoying themselves enormously, as, indeed, does the audience. Some people think the blues are simply about bad times and feeling bad – one listen to this album will thoroughly disabuse you of that idea. The blues here are fun, playful and entertaining. But in the hands of these two masters, we discover the blues to be the most honest, down-to-earth and authentic music you can listen to. Fourteen songs to enjoy, then, six of which are Theessink’s own compositions, one Terry Evans’ song and the rest are blues songs you’re sure to be familiar with – like Glory of Love, Bourgeois Blues, Maybellene and Talk to Your Daughter. How many ways can you play a blues song? With guys as creative as these, there is seemingly no limit. Each song gives us different arrangements, licks, dynamics and grooves, and the enjoyment just keeps building throughout the set. For me, this is the best blues album I’ve heard so far this year. Don’t hesitate – go get yourself a copy.